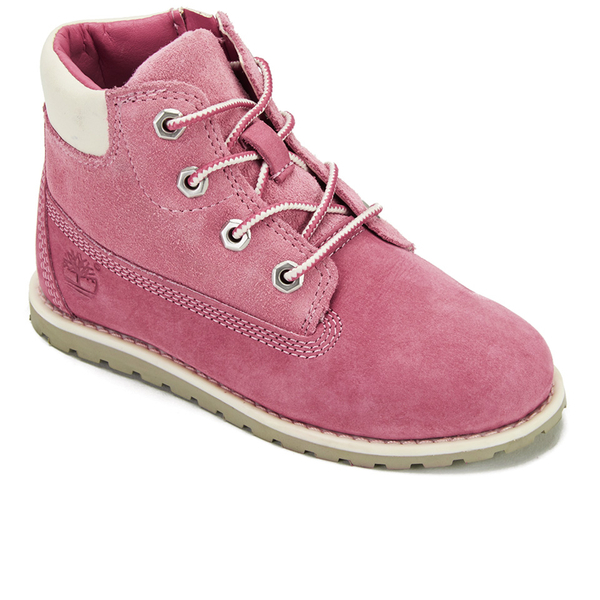 Toddler’s pink nubuck ‘Pokey Pine’ 6-inch boots from Timberland. 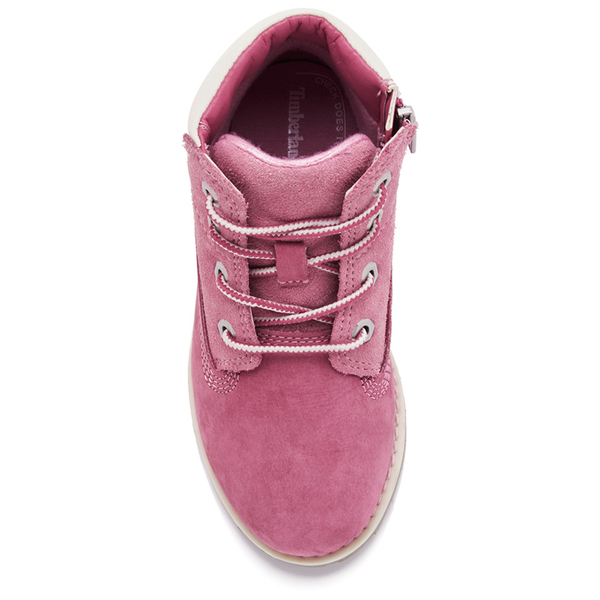 Crafted from two different shades of premium nubuck, the lace fastened boots feature a side zip to easily get the boots on and off. 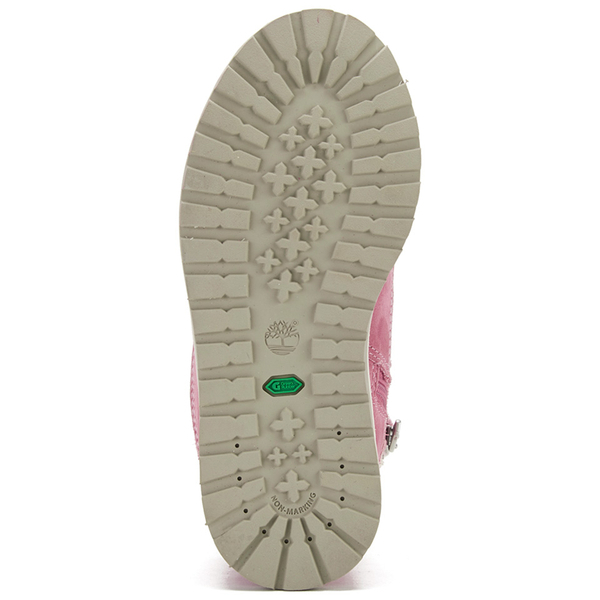 Splash Blaster™ protection provides water and stain resistance, while a breathable anti-odour Ortholite® footbed offers comfort. 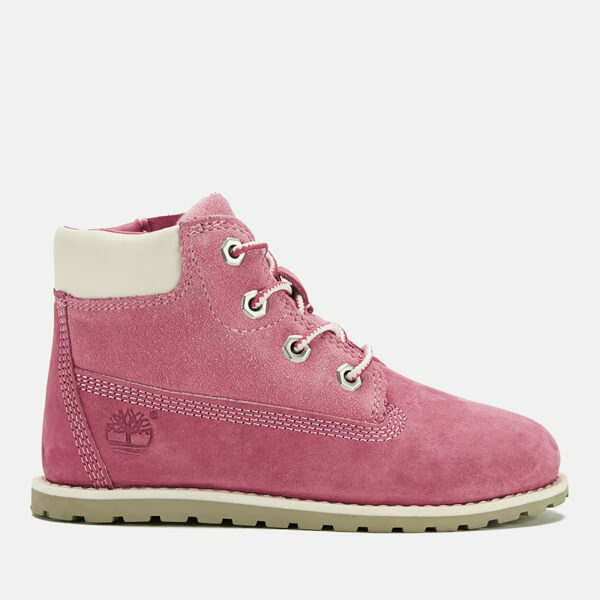 Set on a durable rubber lug outsole, the boots are complete with a padded white leather ankle collar, silver-tone metal eyelets and signature embossed Timberland branding.